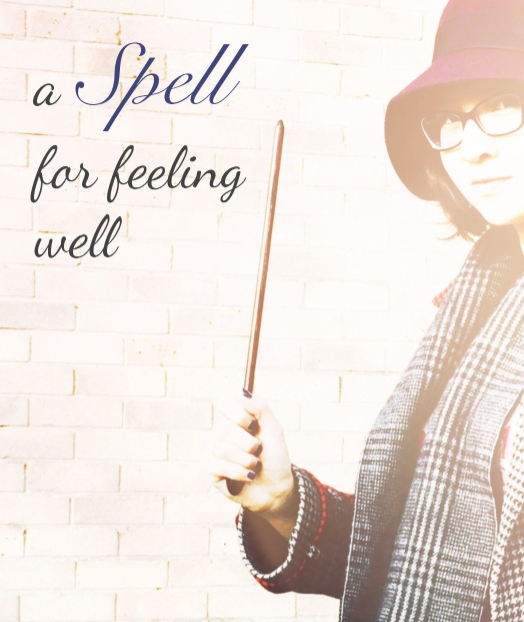 Perhaps you grew up dreaming of receiving your Hogwarts letter, or stumbling upon Narnia. Perhaps you wish to go to the ball, or down the rabbit hole. If you have ever imagined yourself as the heroine of a novel, you have found the right place. Welcome to Heroine Training, where fantasy meets reality, where fiction is cherished, and magic is real. Here you will find essays on being a protagonist, written by me, your fellow heroine-in-training. Here we celebrate creativity, simplicity, and character. A heroine is never finished, but on her journey through life - one day, one mini adventure at a time. Over lunch at the airport, I asked Steve how we could set our upcoming Disney vacation up for success. Jet lag was already an issue, with long days ahead of us only getting longer. We concluded that boring as it may be, we needed to hydrate. Our instinct was to go go go, from attraction to attraction, without stopping to refuel. We promised to encourage each other to drink water. This not only helped us to enjoy our trip, but became one of the most memorable parts of it. Animal Kingdom’s carnival games caught my eye, but we didn’t want to pay for vouchers. It was Everyday Wonderland’s month of Play, so I challenged myself to get creative. I invented our own carnival game – refilling our water bottle at the fountain. This game was free, and required similar skills to the ticketed ones. What could have been a boring mood kill became something to giggle at and enjoy. Mini Adventures enhance your life: on typical day or on vacation at Disney World. Turn something that feels like a chore – like filling a water bottle – into a game. Hydration is something you have to do, all the time. Why not find a way to enjoy it? 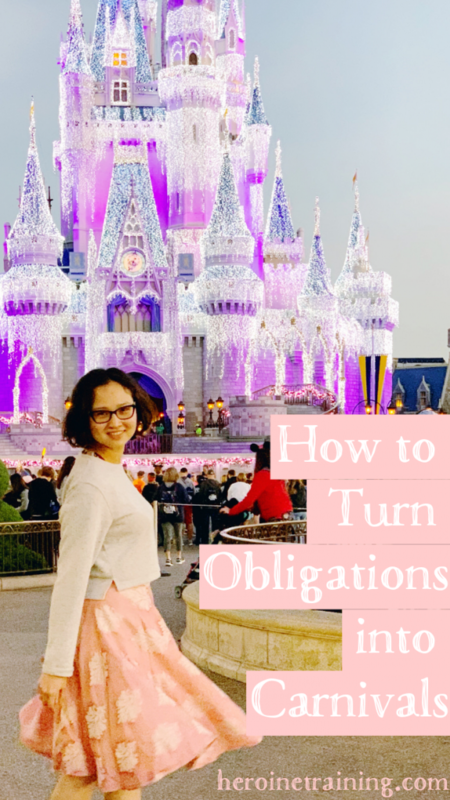 For more on turning obligations into Mini Adventures, join me in Everyday Wonderland, my weekly one-minute programme for finding magic in your daily life, away from screens. The gates open on Thursday. Register your interest here and I’ll email you when we’re ready for you to have a look around! 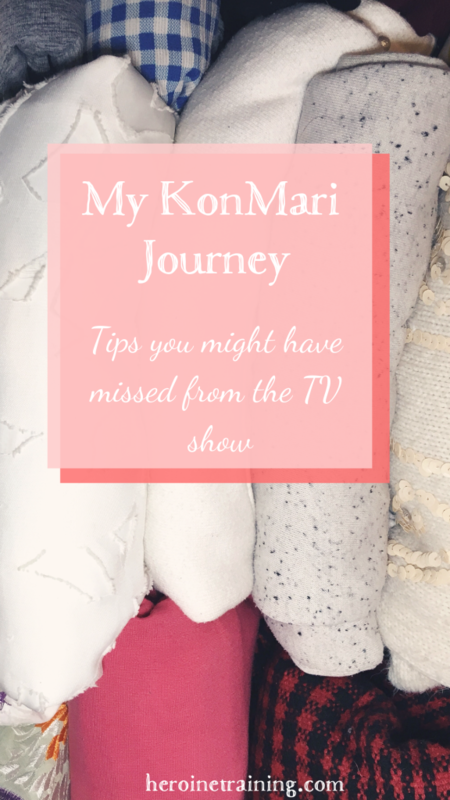 In this video, I compare Marie Kondo’s two books, The Life-Changing Magic of Tidying and Spark Joy, and point out what you might have missed if you went straight to the Tidying Up tv show on Netflix. Discard AND tidy items by category. Gather everything from one category together in one pile to decide what to discard. Then, when you’re establishing permanent homes for your possessions, also tidy them away by category. It’s worth investing the time to tidy things in a way that makes sense, so that you save time searching for things. Tidy by feeling. Don’t use your head. Choose what to keep based on what sparks joy rather than what you ‘might need’. Resist the temptation to pick up books and read the information in them. 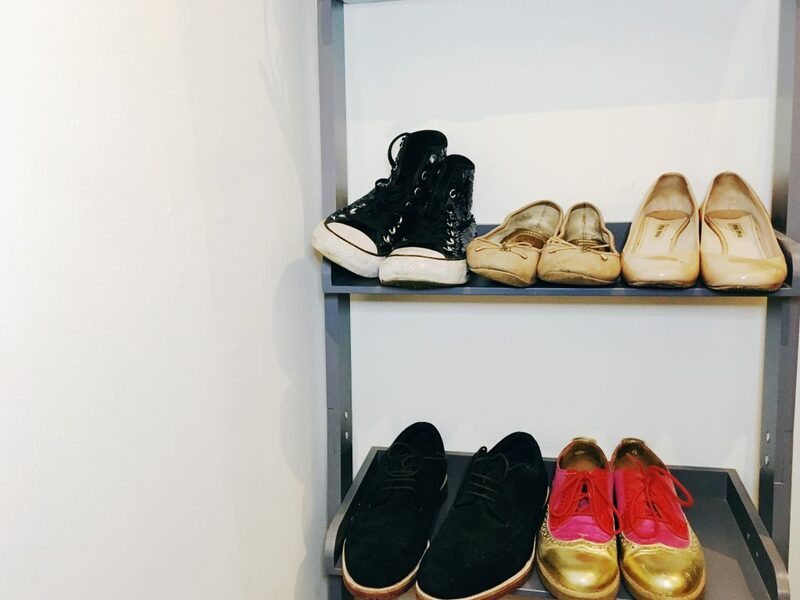 Watch the video for a tiny tour of my KonMari wardrobe (all my clothes fit in one drawer – pretty much!). P.S. See my capsule wardrobe in action on Instagram. I tag all my outfits #XandrasWardrobe. ‘What’s Your Favorite Part?’ Episode 7 is here! 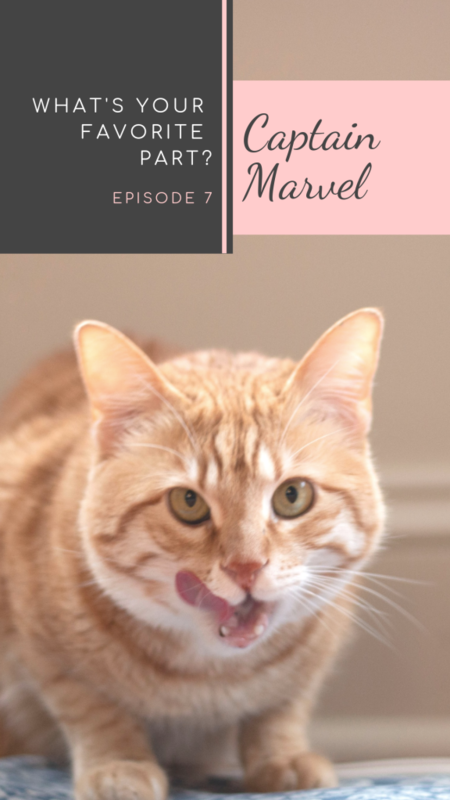 Junie and I discuss Captain Marvel, female empowerment, Nick Fury’s favorite beverage, and of course – being your own heroine. You can listen to Episode 7 and subscribe here. Let us know in the comments, or on Instagram with the tag #FavoritePartPodcast. Instead of my usual deep dive into a specific planning topic, here are 15 quick planning tips! This takes a lot of pressure off. I recommend MUJI’s! There’s a column in Passion Planner for this. I assign tasks that take 60 minutes or less – anything larger needs to be broken down. The most important part of planning! I reflect on a daily, weekly, and monthly basis. Reflecting is where growth happens. 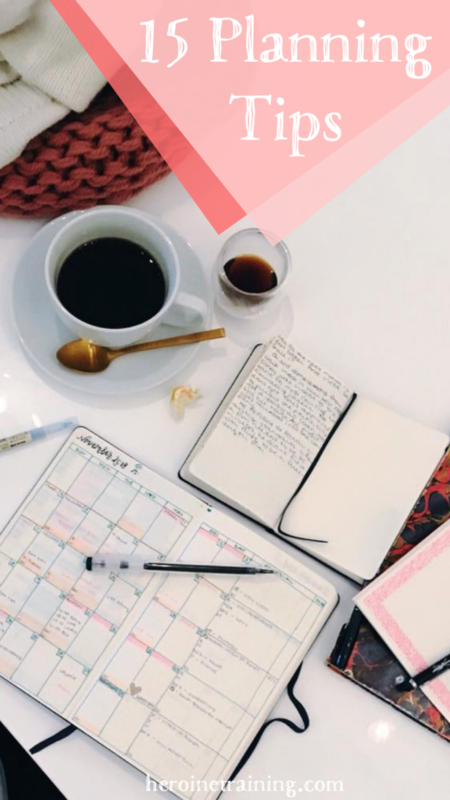 If you keep putting off planning, or any task you’re avoiding, find a way to make it lovely. Try a new cafe, or pair the task with a favourite snack or beverage. I track my favourite new song of the week. This challenges me to listen to more music, and helps jog my memory of the week when I look back. Instead of ‘groceries’, write ‘buy groceries’. Starting with an action word makes it easier to take action. I schedule in Survivor every Thursday morning, because if I don’t, I’ll feel guilty when I end up watching it anyway. Make fun time as fun and guilt-free as possible! I do this weekly. In mine, I keep scrap paper, one sheet of stickers, and extra letter writing supplies. Organise your thoughts and neaten up empty spaces with pretty boxes to contain lists! Don’t get lulled into setting a goal for the sake of it. Find out what you want to pursue by exploring, not by following an arbitrary goal you don’t care about. One of my back pages is filled with illustrations of my clothes so I can see my whole wardrobe at a glance. Capsule update coming soon! If you’re struggling with something in your planner system, articulate the problem as a question. Often asking the question will lead you to the answer. On that note… leave me your planning questions in the comments! What footwear makes you feel mighty? Whether combat boots or stiletto heels, ground yourself with mighty shoes. Practicing your posture goes a long way for your personal pride. 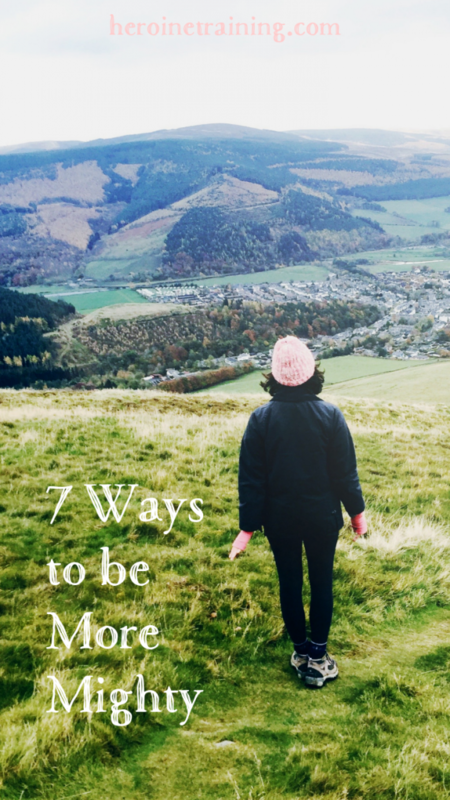 Hike up a hill or amble through a meadow. Mighty heroines break a sweat. Drop ‘um’ and ‘like’. Speak with certainty and clarity. Sometimes when I’m sick, I feel like I need to sound or look the part (especially with mental health). Express with your words, trust that you don’t have anything extra to prove. Think less, act more. Try something that’s a little bit scary. my weekly 1-minute programme for discovering the magic of your daily life. The gates are open today only.